Feel like you’re always delayed on Southern Rail trains? Well now official statistics confirm that suspicion – using the network has made you really late on the work commute once a week over a three-month period. New Office for Rail and Road figures reveal that almost one in 10 Southern trains were cancelled or delayed more than 30 minutes between April and June. That translates to one weekday trip to or from work on Southern being severely disrupted or roughly one every fortnight on South West Trains. 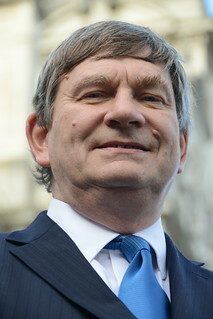 Mike Goodman (pictured), Surrey County Council’s Cabinet Member for Environment and Planning, said: “Late and cancelled trains are so frustrating for commuters and costly for businesses. The county council has backed Crossrail 2 since the project was first mooted and is pushing for investment in electrifying the final 29 miles of the North Downs Line between Gatwick and Reading alongside Great Western Railway.